Bridal Chic – Escape From The City – A Bridal Shoot. Escape From The City – A Bridal Shoot. Well, it was my first time joining the team at Bridal Chic in The City and the weather was not on our side, nevertheless, we still had a really successful and fun day. The day started with an early Sunday morning train from Manchester City centre to Saddleworth where Alina (the bride/ model) and I were picked up from the station to go back to the Frock & Soul boutique/studio. As Alina got styled by Hair and Make up by Anneliese I had time to check out the studio that belonged to Bekka and Tim. Together, along with Amanda, they make up the team at Tim Simpson Photography. They are a genuine family owned business and it was really cool seeing a father and a daughter working together on a photoshoot. Tim has 20 years worth of experience under his belt, and as a budding photographer myself, it was a real opportunity for me to see how he worked. We got to the location which was at Dovestones. Living in a city like Manchester, I can sometimes forget that scenery such as that at Dovestones actually exist just an hour outside on a train. It was bitterly cold, as it was windy and raining, and we were super high up over looking a reservoir, but that didn’t make it any less beautiful. The trees height suggested their age, I’m guessing in the hundreds. Alina looked simply stunning in her dress, and after a set-up we were ready to shoot in this natural location. Tim was awesome, as was Alina. So the shoot wrapped up pretty quickly, and was a success. Everyone on the team was happy! And Alina did so well considering we were literally in sub-zero temperatures ( apparently its all in the breathing ). We then went on to our second location at Sub Pressure Studios, about a 10 minute drive from the previous location. I loved this place; it was an old warehouse, and the interior had been left abandoned. Paint slowly chipping off the walls, creating a really cool texture and backdrop for our model. Here we got to collaborate with the spanish team at Yabiku Photography and created some beautiful shots these are yet to come for another blog but we took some BTS shots for you to peak at. Although there was a slight language barrier, you could really sense their vision, and it was insightful for me to see that shine through. Images below are by Chris Vieira Photography. Alina wears an Allsaints suede jacket over one of the dresses Bekka styled. It adds a contract to the brickwork of the mill and picks out the details of the flowers provided by Eden Floral Styling. Table styling by Style & Salvaged looked awesome and really added an urban vibe to the whole look of the of the mill. Anneliese says “The style we were going for was to create a natural and relaxed look. For the face I used mainly Illamasqua products as I really love how they sit on the skin. The eyes were brought out with warm earthy tones which created a soft look, and then a more neutral lip shade was used from the brand Love Honour and Be True in shade Just Married, which is one of my favourites for brides. The hair was done in soft waves using a big barrelled tong and sea salt spray created further texture – unfortunately there is nothing you can do to hold a style when it’s blowing a gale and raining heavy.” The final look I think you will agree is naturally beautiful. Content written by Chris Vieira Photography. 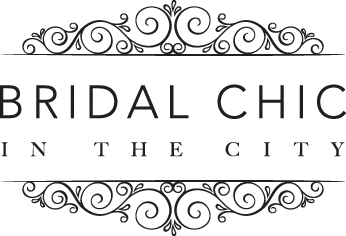 check out his page and upcoming blogs for Bridal Chic…. By bridal|2017-03-25T13:57:24+00:00March 23rd, 2017|BRIDAL CHIC, LOOKBOOK, THE BRIDE|Comments Off on Escape From The City – A Bridal Shoot.